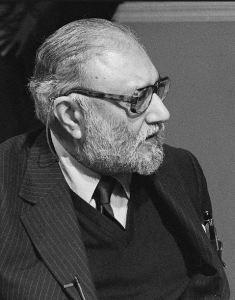 I had the pleasure of hearing Abdus Salam give a talk in Oxford, sometime around 1960. I naïvely asked why a neutron would decay into a proton and electron, rather than an antiproton and positron, and he gently explained to me the concept of baryon number, which I would have known about by that point if I had been paying proper attention to his talk. Both prose and neutron have baryon (heavy particle) number +1, while their antiparticles have baryon number -1. They also have lepton (like particle) number 0, which is why the neutron decays into a proton, and electron, and an antineutrino. Creationists argue that historical science is different from, and more uncertain than, present-day observational science. But their choice of examples shows that they themselves don’t really believe this. The difference between what young earth creationists like to term “operational” or “observational” science and historical science doesn’t have the sharp distinction they like to project to their audience. I was reminded of this recently when I had an opportunity to hear Tommy Mitchell speak at a local Answers in Genesis conference a few weeks ago. One particular talk was entitled: Jurassic Prank: A Dinosaur Tale. In it Mitchell presents the young-earth case that dinosaurs lived with man as recently as a few thousand years ago. The “tale” of course is that scientists have been telling us that dinosaurs died out millions of years before man existed. You could say the punchline to the entire talk was that the public has been punked with regards to the truth about dinosaurs.